Oddly I think it all comes down to semantics. and I’ll divide things into Lomo (no prefix), the Lomo and a Lomo. 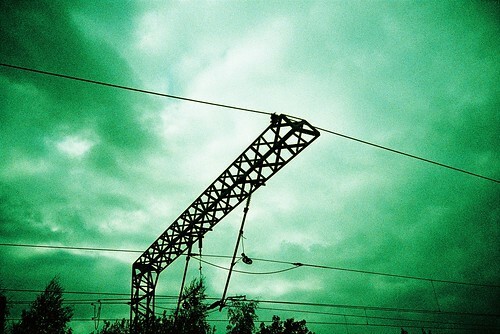 I’ll also divide Lomography into the rules & movement versus the commercial brand name used by Lomographische AG. For ease I’m going to discount Lomo as the Spanish word for Tenderloin or the 2 communities of Lomo found in California. We’re talking camera gear here right ? Weirdly this company can trace it’s roots back to 1914 when a French-Russian limited company was set up to manufacture optics in St Petersburg. It became GOMZ in 1930 and final became LOMO in 1962. A term often applied to Lomo’s best known Camera the LC-A (Lomo Kompakt Automat). The 35mm zone focus LC-A was plucked from being just another Russian compact by a bunch of Students from Vienna in 1991 who fell in love with its quirks and went on to trigger the Lomography movement and ended up running Lomographische AG who make the updated version the LC-A+ (and sell refurbed original LC-A’s). The LC-A and it’s updates have been in production for over 3 decades a production run that would have made George Eastman Happy. Taking ‘a Lomo’ is perhaps the hardest to define as it essentially means taking a shot in a certain style. 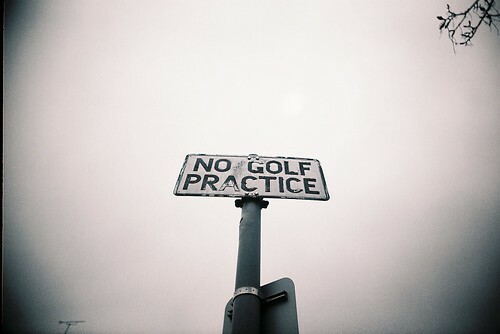 Most people mean following the principles of Lomography but as we’ll see that’s petty nebulous. 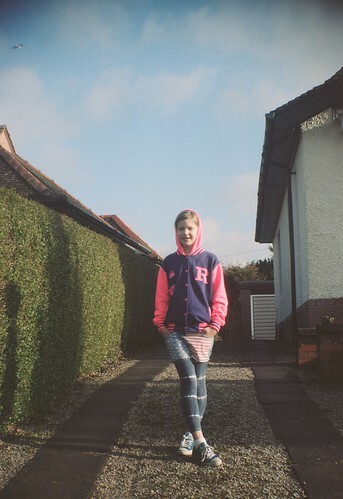 Let’s jump back to 1991 as the term comes from those Viennese Students and the Lomo LC-A. By 1992 they’d founded the artistic movement known as Lomography Society International (LSI) and published the 10 golden rules of Lomography (in essence don’t think just shot and ignore all other conventions and rules – effectively including the 10 rules themselves) and the Lomography Manifesto. This has become a bit of a Marmite thing amongst photographers. Many like the free-flowing thought of taking shots without rules in an experimental fashion and it certainly caused a bit of a buzz drawing old and new back to life analogue. Others deride it as an attempt to commercialise freeform photography and a way of selling over priced lo-fi cameras to hipsters who can then take blurry poorly exposed photos and claim they are art. Whatever you like to think there is no denying that Lomography have brought new folk to the world of film photography and in some way have contributed to the relative renaissance we have with film. Lomographische AG are one of the few companies who are still coming up with designs for new film cameras. 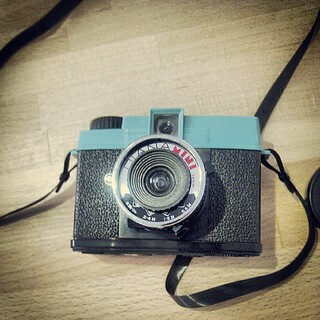 The founders of LSI went on to form the company Lomographische AG and trademark the Lomography name. 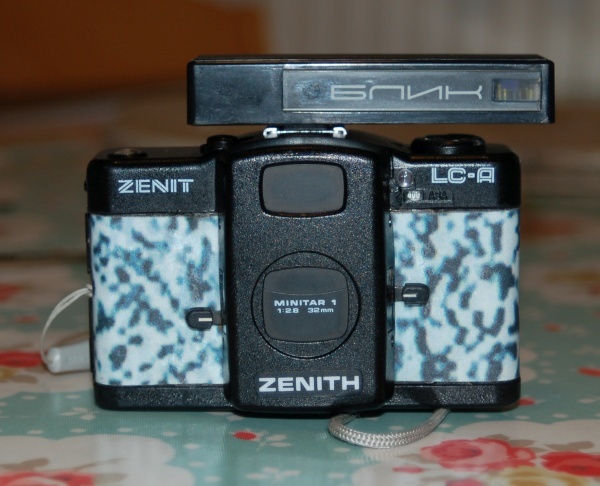 Originally the company sold and secured the survival of the LC-A in 1996 (with a little bit of help from one Vladimir Putin then mayor of Moscow) and later in 2005 when production at LOMO ceased secured the rights to make it and moved production to China. 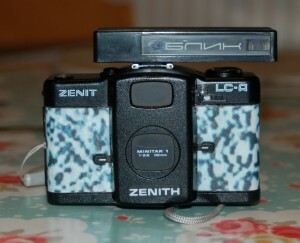 The company in this century began to expand its production into more lo-fi usually plastic cameras like the actionsampler and supersampler. Camera with more historical pathos like the Diana + arrived and the company even resurrected LOMO’s Lubitel brand with the Lubitel +. They’ve even made a DIY SLR, the Konstruktor. The company sell their own film and at times limited numbers of FSU cameras (both new made ones like the Horizon Kompact and vintage like BelOMO Vilia) and other makes like Holga and Fuji instant. This has included FSU SLRs which kinda run against the Lomography principles and help muddy the definitions. The company also offers it own film, other films and processing services. Okay so there are some core concepts. So my shot at the top of this article is a Lomo styled shot taken on a the Lomo (LC-A) from LOMO following Lomography principles (it may have been reconditionded by Lomographische AG but I doubt it) so ticks all the boxes. 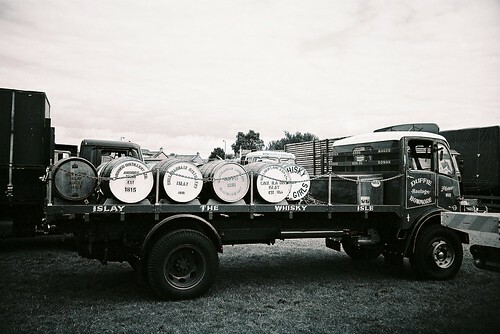 But is this more Old School composed shot in B&W removing the chromatic qualities of the LC-A mintar lens ? 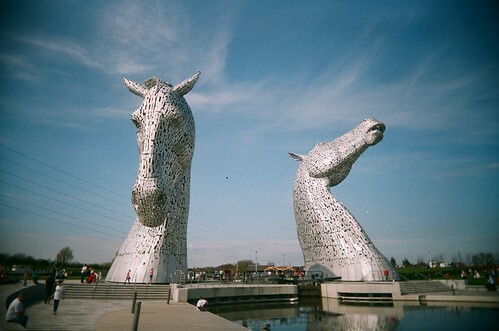 Where does taking a Lomo stop ? 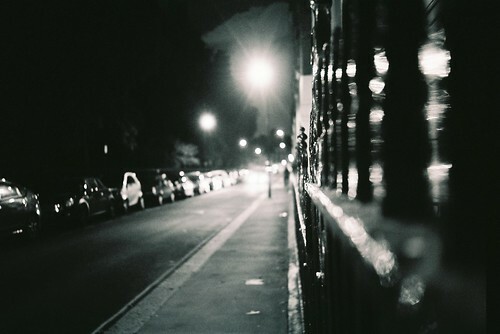 Is this shot taken on the Poor Man’s Lomo, a VUWS clone count ? I’d say yes but then what about this ? 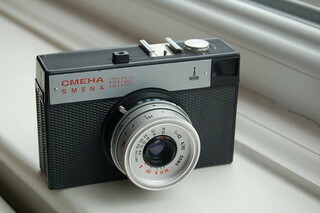 Same camera but is it a Lomo ? I don’t think you can take a Lomo shot on a digital camera even if you use a Lomography lens (happy for you to call ’em digital Lomo but they are distinct) and I personally can’t see how you could take a Lomo shot with a TLR, SLR, Rangefinder or AF camera. 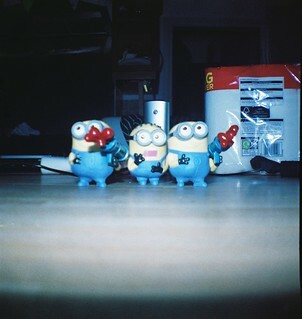 I’d have no problem counting a shot from a simple lo-fi camera like a Diana F+ or even a Kodak Box brownie. But what about shots on a more advanced compact like the Olympus Trip 35 or XA2 ? But where does the boundary sit ? 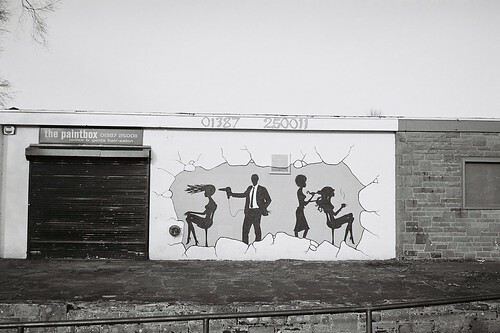 In truth I think that boundary is personal and too hard to define – whilst I personally wouldn’t count or submit my Graffiti shot as a Lomo, I would accept someone else identical shot into the Lomography for Non snobs pool although not if it were taken on a SLR or rangefinder. But am I right ?